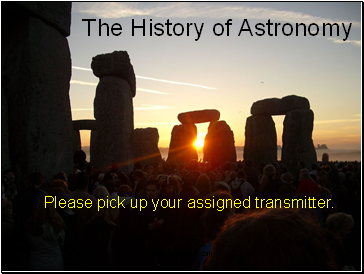 Please pick up your assigned transmitter. 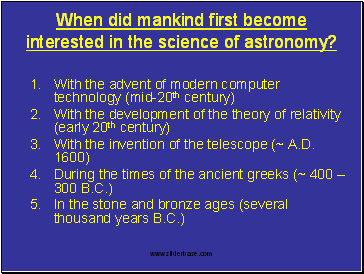 When did mankind first become interested in the science of astronomy? 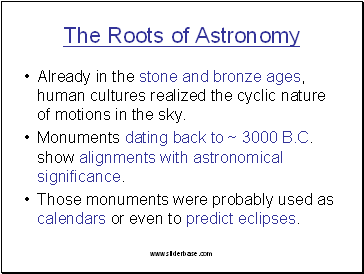 Already in the stone and bronze ages, human cultures realized the cyclic nature of motions in the sky. Monuments dating back to ~ 3 B.C. 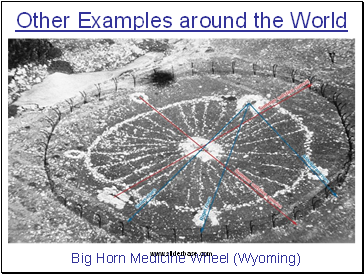 show alignments with astronomical significance. 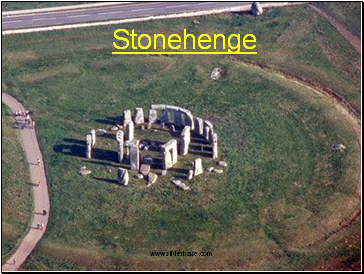 Those monuments were probably used as calendars or even to predict eclipses. 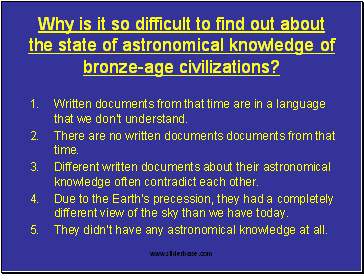 Why is it so difficult to find out about the state of astronomical knowledge of bronze-age civilizations? Written documents from that time are in a language that we don’t understand. There are no written documents documents from that time. 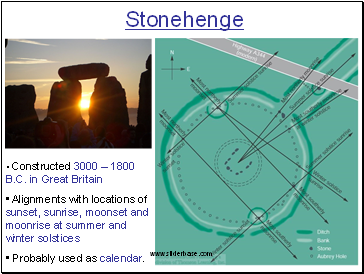 Different written documents about their astronomical knowledge often contradict each other. Due to the Earth’s precession, they had a completely different view of the sky than we have today. They didn’t have any astronomical knowledge at all. 1. 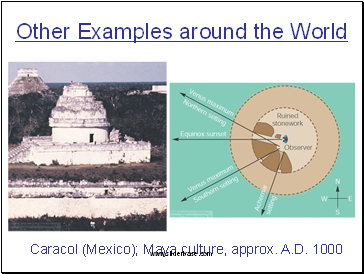 Geocentric “Universe”: The Earth is at the Center of the “Universe”. 2. 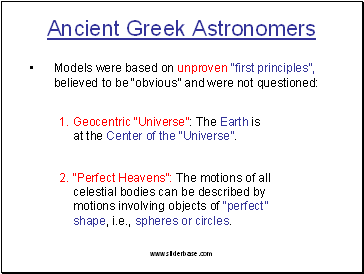 “Perfect Heavens”: The motions of all celestial bodies can be described by motions involving objects of “perfect” shape, i.e., spheres or circles. 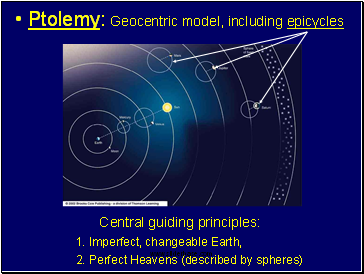 What were the epicycles in Ptolemy’s model supposed to explain?